We are living through one of the most interesting times in human history, a period that has provided us with access to unprecedented amounts of knowledge. The pace of change at the interface between science and industry is accelerating, with seemingly no end in sight – and the results are transforming major aspects of our lives. Digitalization, climate change and globalization are just a few of the many megatrends that are having a lasting impact on the age in which we live. So what does all this mean for us as a technology company? At Bosch, we don’t have our eyes fixed solely on the future – we also strive to get to the heart of the issues that matter. Searching for answers is a fundamentally important part of what we do – and it has formed part of Bosch’s DNA for over 130 years. We firmly believe that research is not an end in itself – a constant race to develop new technologies – but rather something that makes a tangible contribution to improving the quality of people’s lives. That belief is reflected in the words “Invented for life” that appear on our products. Without research, there can be no progress. And without progress, we cannot improve the quality of people’s lives. 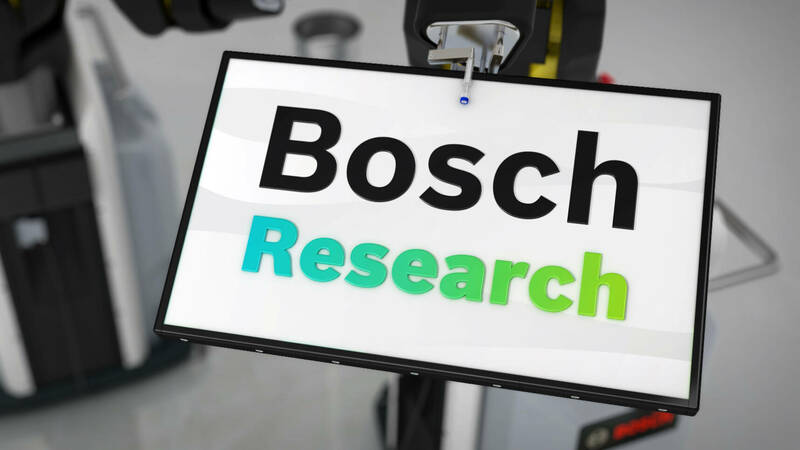 Get inspired by research at Bosch! In 1990, I started as a physicist in microsystems technologies at Bosch Research. After 10 years of successful work on new MEMS sensors for automotive and consumer electronics, I stepped into the development of microfluidics solutions for molecular diagnostics in healthcare. 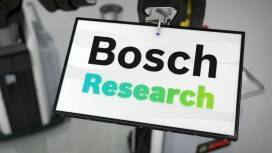 Currently I am a research fellow/senior vice president chief expert, identifying and developing new applications for our Lab-on-Chip platform, together with our business unit Bosch Healthcare Solutions. My name is Veronika Schleper, and I deal with the aspects of virtual product development. During my Ph.D. and postdoctoral studies, my research was predominantly in the areas of optimization and multiphase flows. Since 2016, I have been working as a research engineer, dealing with shape optimization and fluid dynamics, especially in porous media. The application areas range from heat exchangers to state-of-the-art fuel cells. I am Vice President for Strategies and Technologies of Modeling and Simulation, and 25% W3 professor with TU Darmstadt. Modeling and simulation link the physical world to the cyber world. They are essential for product design in the era of digital transformation. My favorite questions are: What topics and skills are important in this area in 2025, and beyond? How can we implement methodological work results effectively and sustainably in our business units? And: I am scouting worldwide for relevant applied mathematics. To prepare for future challenges in each and every area of our business, we rely on the outstanding expertise of our research staff. Learn more about them here. Development for development’s sake? That’s not how we work. We believe that research should always result in a tangible innovation. Something that changes people’s lives for the better. That’s why our innovations tend to pop up at all sorts of different times in people’s day-to-day lives. Which ones have you come across?